The electric, fan heater of compact and modern design easily and quickly warms up your personal space or smaller rooms, while simultaneously saving space in your bedroom, living room or workplace. 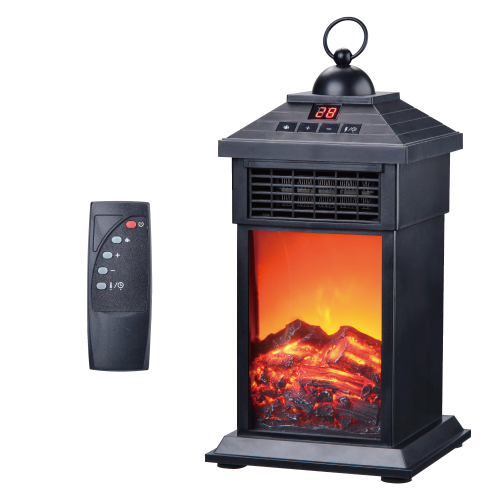 The heater has a realistic 3D LED display with moving flame, which can be used with or without heating, if you want a romantic atmosphere in the room. 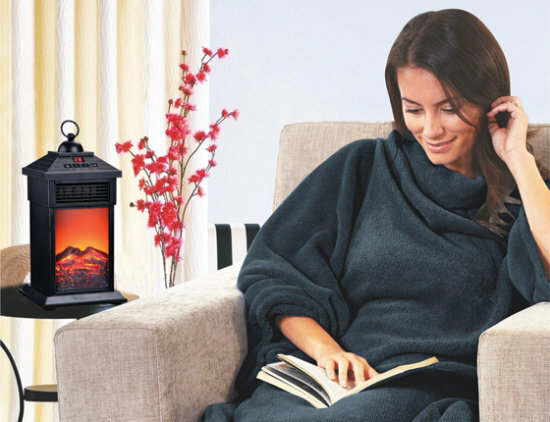 Do you need a small heater to warp up your personal space or a smaller room? 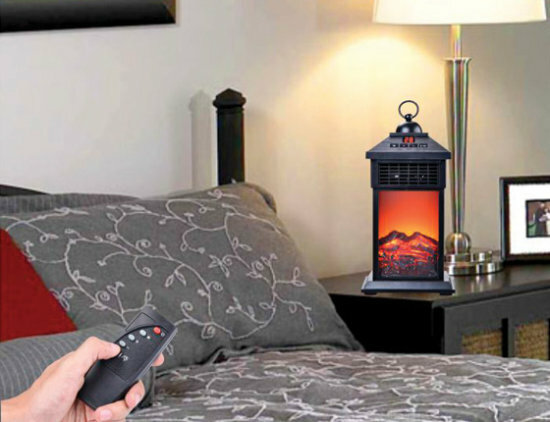 Fireplace Lantern Heater is a great choice because it is economical and has an instant heating effect. As soon as it is switched on, it begins heating up and blowing out a warm air. You can set the temperature up to a very hot 35 ° C, on the heater or on the remote control which is included. The Fireplace Lantern heater stands out with a modern design that looks like a fireplace. Equipped with a 3D LED display, the fire effect (moving flame) can also be switched on without the heating, if you just want to create a romantic atmosphere in the room. For your safety and protection, the heater has a smart self-shutting system in case of overturning. Also, there is an auto-off timer that you can set in a time interval of 1 to 8 hours.